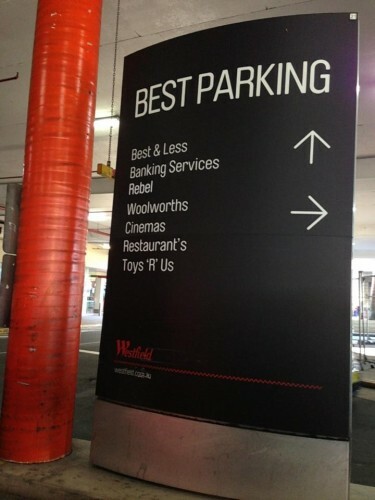 My local Westfield Shopping Centre in Queensland, Australia, is in the middle of a multi million dollar refurbishment. After spending all that money, one of the new signs lets the whole thing down. Tagged with australia, garden city, westfield.